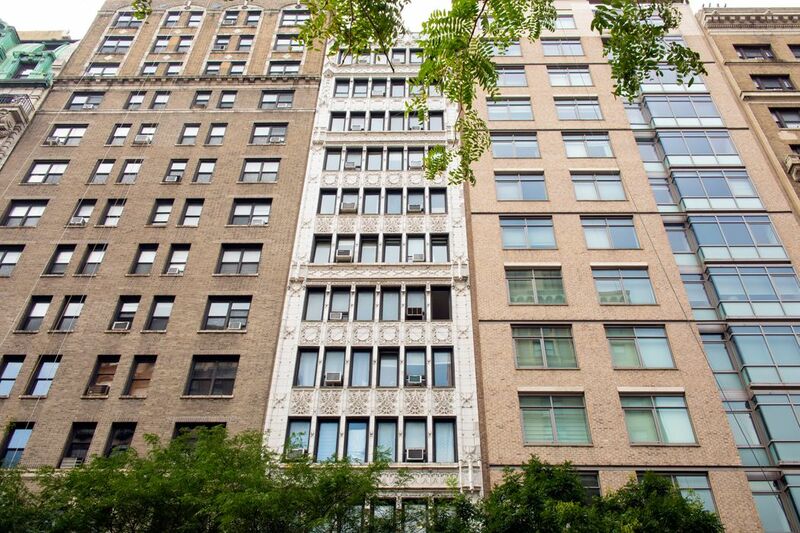 118 West 72nd Street 504, New York, NY 10023 | Sotheby's International Realty, Inc. 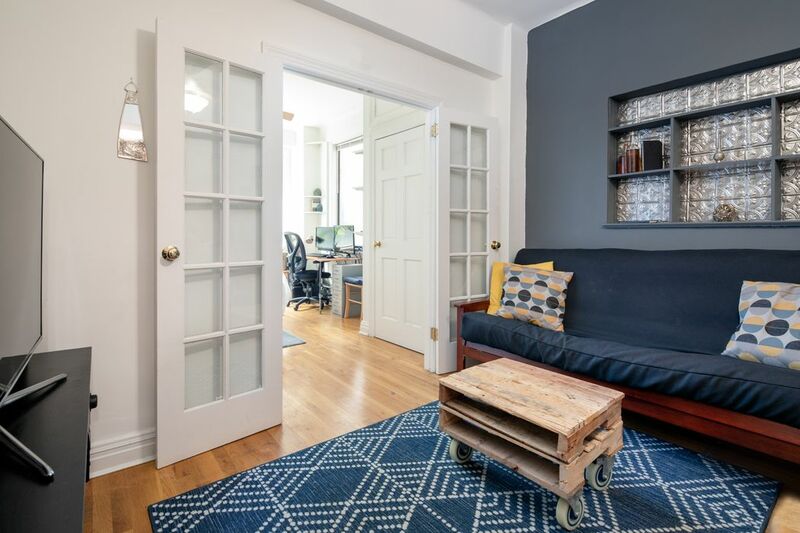 Situated in the heart of The Upper West Side, this one bedroom is located in a charming prewar elevator building. 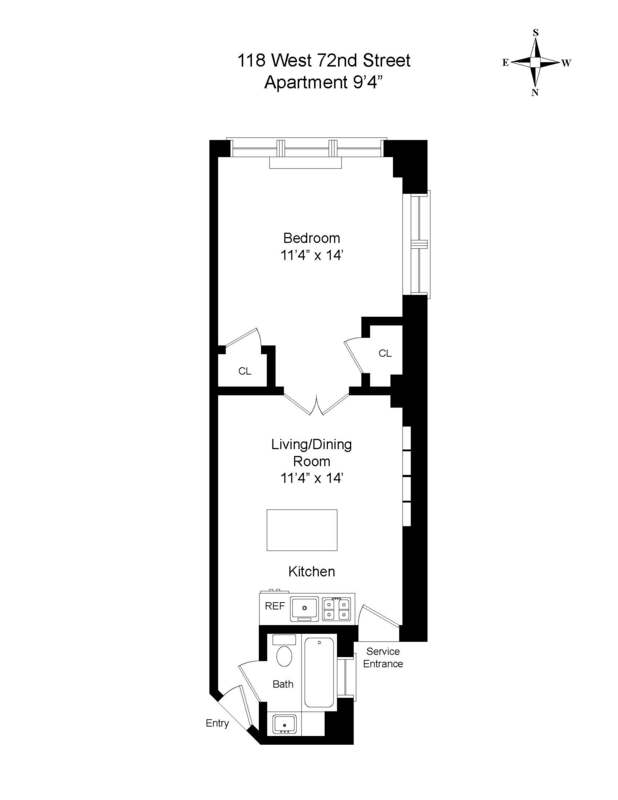 The quiet apartment has oversized windows with southern & western exposures as well as over 9 foot ceilings throughout. You enter the apartment through the kitchen which features a new four burned oven & stove, dishwasher and island with seating for two. French doors lead you through the living room into the corner bedroom which overlooks townhouse gardens. 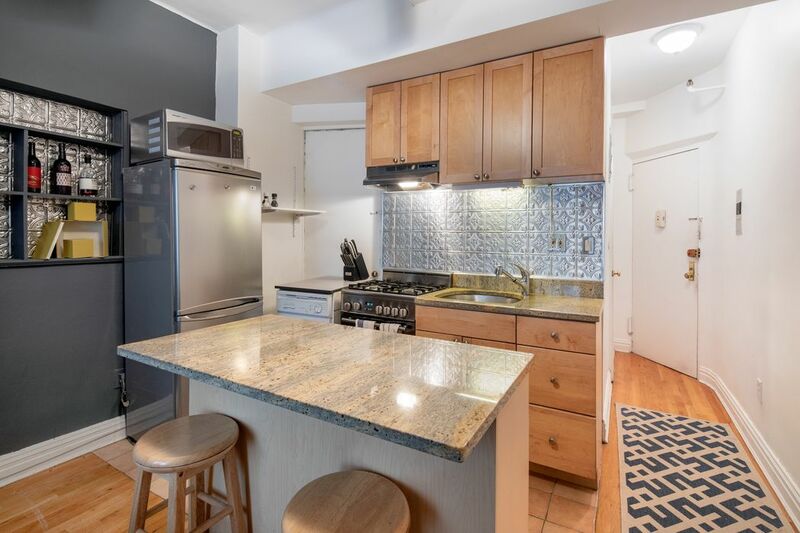 118 West 72nd Street is an elevator building located on a prime Upper West Side block in close proximity to Fairway, Traders Joes, Citarella, Central Park and all the best restaurants and shops the UWS has to offer. 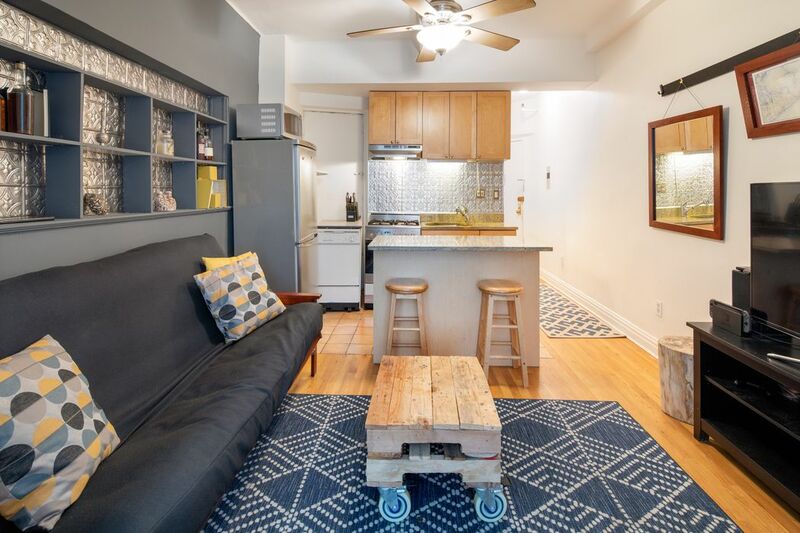 The building is also conveniently located near to major transportations lines such as the 1,2,3, B, & C trains as well as the cross town bus. 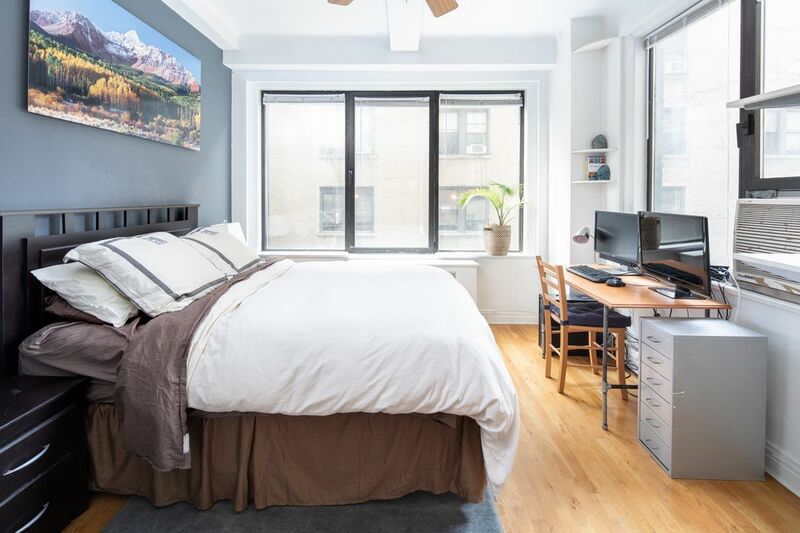 The building allows for Pied-a-terre's, guarantors, parents buying for children, and unlimited subletting after two years of ownership are all allowed. There is also a laundry room in the basement and a gym on the first floor that offers a discount to shareholders in the buildings. Dogs are not allowed.